The DBXI-Ds are Back! - Earthquake Sound Corp. The DBXi subwoofers are back in 12” and 15” dual voice coil after huge demands by hundreds of customers. Just like before and without any short cuts, the DBXi subwoofers with their signature super wide edge, multi-layered, pressed and laminated-foam surround stands 1.25” high, thus allowing the cone to move well over 2 inches without any deformation. A progressive double spider design allows for long excursion with perfect linear motion, preventing the voice coil from rubbing. The tensile leads are stitched into the spider to eliminate the chance of flopping against the spider or cone during the extreme movement. While packing in all this power, Earthquake has not overlooked the importance of efficiency. A hot-forged single piece T-YOKE permits a clear flow of magnetic flux which increases the efficiency of the driver; a turbo forced-air cooling system keeps the four-wound high temperature bobbin voice coil running cold. The removable rubber gasket literally and figuratively seals the deal when it comes to the DBXi subwoofer. Not only does this feature have cosmetic purposes of covering the screws used to install the driver, it also doubles as a seal to prevent enclosure air leaks. If you have been searching for that trunk thumping, window rattling, seat vibrating, heart-pounding bass, look no further. 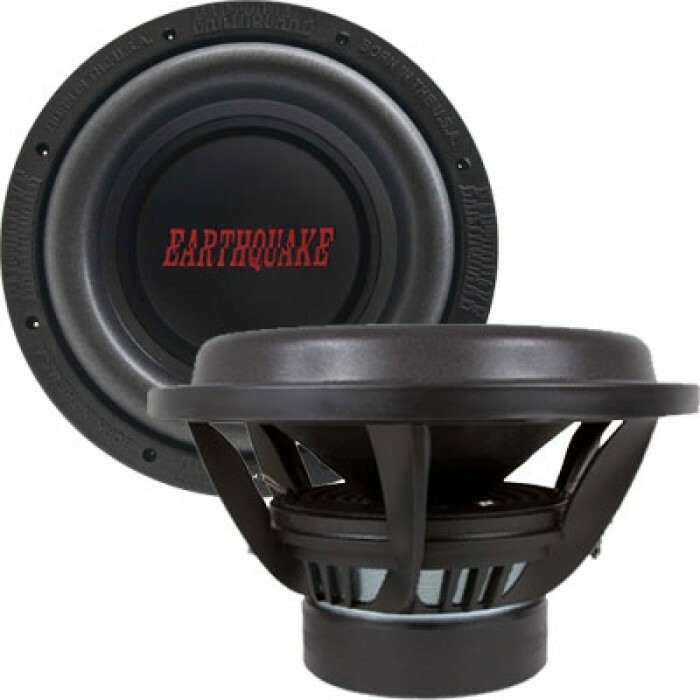 Earthquake Sound’s DBXi have returned, so be sure to get yours now from one of our authorized dealers! on Tuesday, May 10 2016.